The AV‑HS6000 is a 2ME model in the HS series that employs a newly designed, easy-to-use GUI Control Panel to support accurate switching. Even with its 3U compact size, the main unit is equipped with an abundance of inputs and outputs for great system integration that include 32 SDI and 2 DVI inputs plus 16 SDI outputs. To top it all off, 4 DVEs per ME enable diverse transitions when producing creative video in demanding fast paced situations. Three types of control panels can be used. 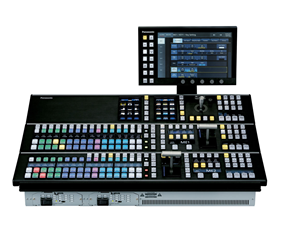 C1 and C2 panels offer 24 XPT buttons and 4 pages, and allow easy switching among 96 total crosspoints. Single or redundant power supply is selectable. 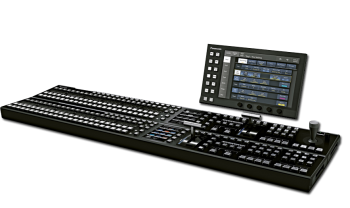 New compact panel C4 is 30% shorter than the C1/C2 version and offers an easier integration into small studios and OB Vans. It offers 26 XPT buttons and 4 pages, for switching among 64 total crosspoints. In all cases, two multi-selection panels easily allow to recall wipes, event, shot, video and still memories. 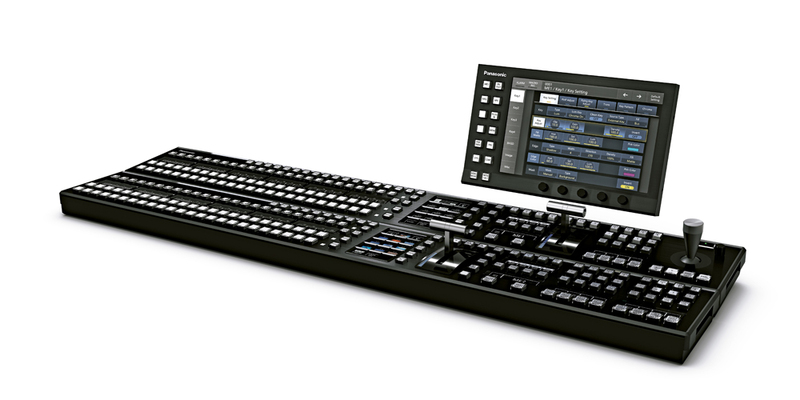 The AV-HS6000 supports plug-in software, to include additional functionality. The following plug-ins are available. Tally information, compatible with TSL UMD v3.1. 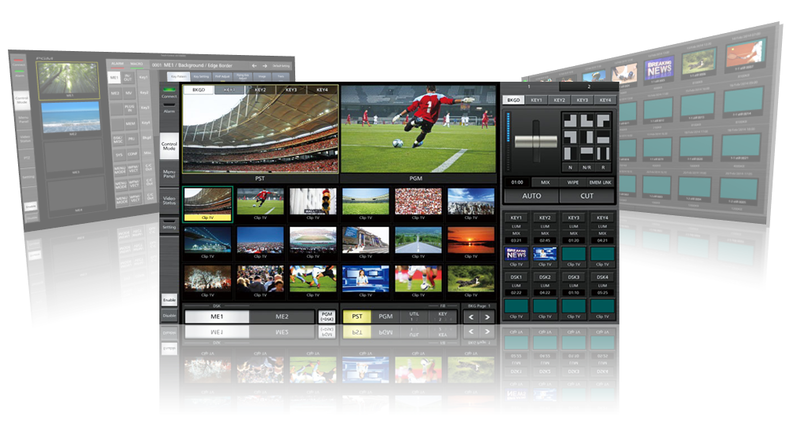 Video sources of all inputs, all outputs, all buses and all MV can be displayed. *Primatte® is a registered trademark of IMAGICA DIGIX Inc. The copyrights of Primatte® belong to IMAGICA DIGIX Inc. The patents for Primatte® belong to IMAGICA DIGIX Inc.